The other day, I found an article by AJ Pollard, The Northern Retainers of Richard Nevill, Earl of Salisbury, that sent me into my happy dance. Not that I want to clutter up the landscape with a lot of extraneous names and faces, but it will help me bring depth and texture to a couple of pretty crucial chapters. It was sheer luck – and the late mediaeval practice of recycling scraps of parchment – that allowed this list to survive. Ignored for centuries, someone took a closer look at this scribbled on scrap and said “Hey, this is a list of the earl of Salisbury’s northern retainers!” Pollard says its journey began at Middleham, where it was picked up during Salisbury’s months of exile in Calais, when Middleham Castle was in the hands of others. Some time later, the scrap was used as a flyleaf in a wholly unrelated work. It’s a list of 19 men and the fees paid to them, compiled sometime between 1457 and 1459. Where it comes in handy for me is that among the mass of men accompanying Salisbury and his sons from Middleham to Ludlow (or, in the case of his sons, not quite Ludlow) there are now some with names. This list partly corresponds to the list given in The Poleaxed Source Books (which have their flaws, but are a good place to start) of the men who fought for (Y) at the battle of Blore Heath. Pollard has grouped the men into: 1. substantial local gentry who lived closed to Middleham, linked together through marriage and pretty much all of an age with Salisbury; 2. Salisbury’s men living in ‘enemy’ country, within the earl of Westmorland’s sphere of influence; 3. those who lived in Percy/Clifford country. Bothal is some 35km south of Alnwick, so very much in the heart of Percy territory. Ogle first comes to notice at the first battle of St Albans, where he led Warwick’s archers through the back gardens of houses and into the market square, surprising the half-ready ‘Lancastrians’ and breaking the deadlock. I don’t have a birthdate for sir Robert, but it’s likely to have been around 1400. He married Isabel Kirkby of Kirkby Ireleth. They had two children, a son Owen and a daughter, Isabel or Elizabeth, who married Ogle’s fellow retainer, Sir John Middleton of Belsay. 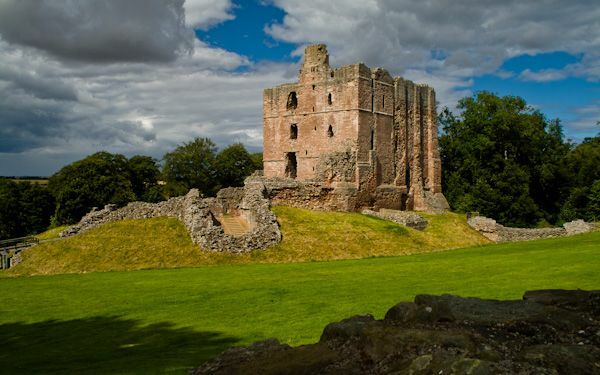 Ogle was constable of Norham castle and, from there, negotiated a year’s truce with the Scots in 1461. In 1462, he was created Lord Ogle and appointed steward of the forfeited Percy estates. The following year, when the Percies declared for Henry VI and occupied the northern castles of Bamburgh, Dunstanburgh and Alnwick, Ogle endured a 15 day siege at Norham. His garrison was relieved by the earl of Warwick, who followed that up with a raid into Scotland. Ogle died in November 1469, possibly of wounds received at the battle of Edgecote. This is really the “stuff of history” isn’t it. I love these little snippets which tell us about the actual people of the time and help us to inch forward our certain knowledge [as opposed to our assumed knowledge] of the period. Yep! I’m probably not going to find out much about most of the men on this list, but I shall do my best to unearth something. I’m not digging too deeply into Ogle’s life at the moment, that will come later. There is a decent write-up on Ogle for the Oxford Dictionary of National Biography by C. M. Fraser. He gives a speculative year of birth for 1406. He adds W. P. Hedley, Northumberland families, 2, Society of Antiquaries of Newcastle upon Tyne, Record Series (1970), 146–8, and the big index of peerages by Cokayne for additional stuff. Ah, prosopography, what have you done to me. Thanks! I shall have to look that up when I can get access. What does it take to be called an ‘Amazon Fora Troll’?